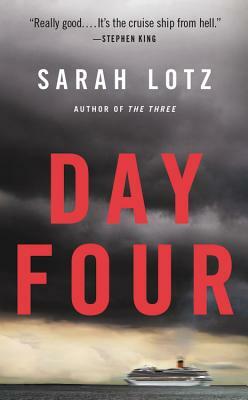 The chilling follow-up to THE THREE, Sarah Lotz's "hard to put down and vastly entertaining" debut (Stephen King). Hundreds of pleasure-seekers stream aboard The Beautiful Dreamer cruise ship for five days of cut-price fun in the Caribbean sun. On the fourth day, disaster strikes: smoke roils out of the engine room, and the ship is stranded in the Gulf of Mexico. Soon supplies run low, a virus plagues the ship, and there are whispered rumors that the cabins on the lower decks are haunted by shadowy figures. Irritation escalates to panic, the crew loses control, factions form, and violent chaos erupts among the survivors. When, at last, the ship is spotted drifting off the coast of Key West, the world's press reports it empty. But the gloomy headlines may be covering up an even more disturbing reality.